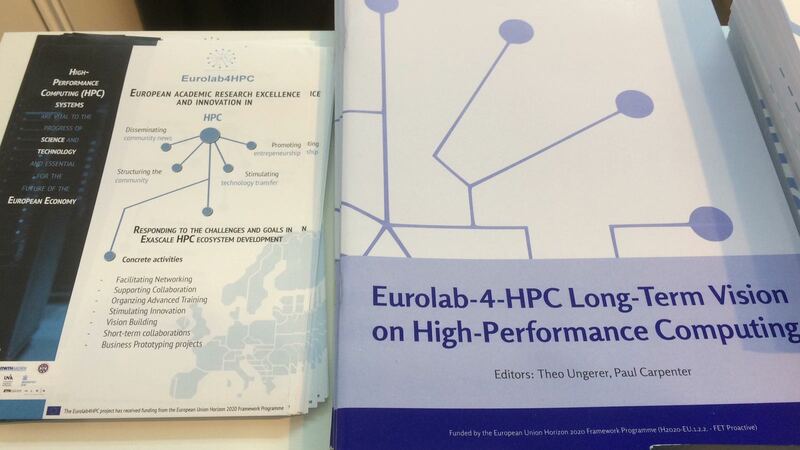 Sunday, 24 June 2018, Eurolab attended the workshop:" Post-H2020 Vision for HPC” organized by ETP4HPC and HiPEAC in the build up to the ISC18 event. On Monday, visitors of the ISC HPC event had the chance to talk to Eurolab4HPC representative Paul Carpenter at the HiPEAC booth. 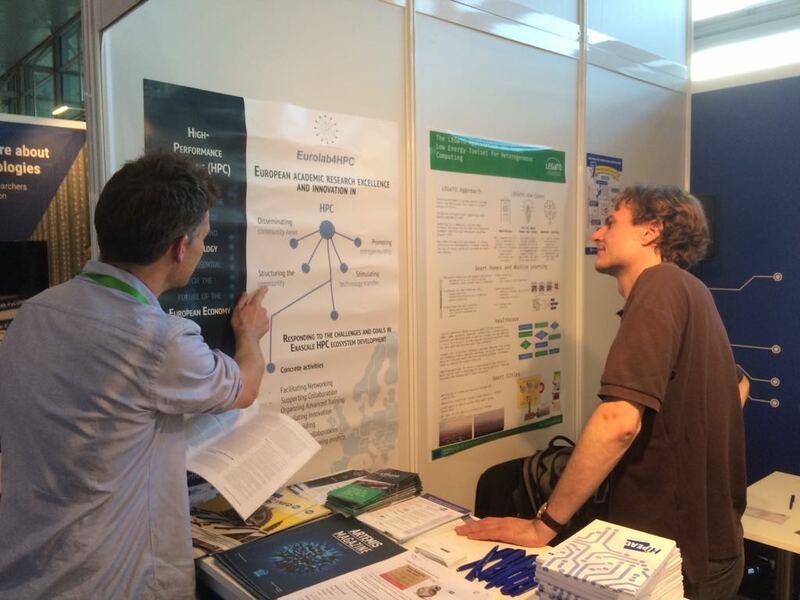 We had the opportunity to get featured at the HiPEAC booth at ISCHPC on Monday 25 June. The ISC High Performance event is dedicated to tackling HPC technological development and its application in scientific fields, as well as its adoption in commercial environments. Eurolab4HPC has just kicked off the second project, because we want to contribute to building European world-class HPC technology and be globally competitive. Time to tell the world about our newest plans and the calls for funding, which are opening on 1 July, 2018!